Greensbury is an organic meat delivery service that ships humanely raised, grass-fed meat and sustainable and wild-caught seafood throughout the continental US. Based in New York, it entered the market in 2007. Over the years, it has gained a considerable customer base and evolved into one of the most trusted sources of organic meat in the country. It has been on our radar for a while now and we have decided it was time to see if it is worth our recommendation. We wanted to know everything: are its meat and seafood are as good as advertised, are its prices affordable, and does it have what it takes to satisfy an epicurean carnivore? Here is what we found out while researching for this Greensbury review. What we instantly liked about Greensbury is that the ordering process is perfectly smooth. You can shop subscription-free, order anything you like, and decide on the quantity. You can have your food delivered ASAP or on the date that suits you best. If you prefer regular deliveries, you can create a subscription simply by clicking on your favorite items and choosing the subscription option. You decide what goes into your recurring deliveries and you can choose to have them shipped every 1-12 weeks or months. You can purchase items individually or in money-saving packs. Greensbury online shop regularly features the most popular beef, poultry, lamb, and pork cuts, along with some extras like beef bones. The selection is not immense, but you can usually choose from about 50 different items, from filet mignon to bacon. In addition to meat, you can purchase wild-caught finfish and shellfish, with about a dozen items on offer. Regardless of whether you opt for one-time purchases or a custom subscription, there is no minimum order. Subscriptions come with a 5% discount and they can be modified or canceled at any time. It is good to know that all Greensbury products come with a satisfaction guarantee. If you are not perfectly happy for any reason, you can reach out to the customer staff within 30 days of purchase and request a re-delivery, a credit or an adequate exchange, depending on what works best for you. Although consumer interest in properly grown meat is greater than ever, reliable organic meat deliveries are surprisingly hard to find. With Greensbury, you always know where your meat comes from and you get exact information on every product, so the company allows you to make a fully informed decision and it never tries to fool you into buying something that does not suit your preferences. Greensbury beef is always organic, grass-fed, grass-finished, and humanely raised on family-owned farms. Its pork and lamb are organic or antibiotic-free and come from healthy animals that are fed an organic vegetarian diet and freely roam in the pastures throughout their lives. Its poultry comes from family farms that raise free-range birds that are either organic or antibiotic-free. Its bison comes from a trusted Colorado farm that exclusively provides free-range, grass-fed bison. Finally, Greensbury seafood is sustainably harvested or wild-caught and comes from local fisheries primarily located in Maine and the Florida Keys. As you can see, Greensbury does its best to fully satisfy the needs of meat and seafood lovers who value quality. On top of that, it goes the extra mile to show how much it appreciates your trust. It has launched a rewards program that allows you to earn as you shop. For every dollar you spend at its online store, you get one market point. For every 100 points, you get a $1 store credit. To increase your score, you can (successfully) refer a friend (200 points) or follow Greensbury on social networks (50-100 points). Once you create an account with Greensbury, you get 200 reward points as a welcome gift. Speaking of gifts, if you know someone who likes organic meat as much as you do, you can get them a Greensbury gift card worth anywhere between $25 and $500. The company also offers a wonderful selection of knives specially designed for Greensbury by Gunther Wilhelm. Previously in this Greensbury review, we said the company’s offer includes about 60 items in total, which is not plenty, but it is enough to satisfy the needs of most carnivores. The products are divided into 2 categories: Meat and Seafood. The Meat category features 4 subsections: Beef, Poultry, Pork & Lamb, and Bison. The Beef subsection includes about 20 items, all organic and grass-fed. You can get ribeye, New York strip, skirt steak, flank steak, chuck roast, tenderloin, top sirloin, filet mignon, prime rib roast, beef fajita or cubes, hot dogs, burgers, and bones. The Poultry subsection is divided into 2 categories, including organic and antibiotic-free products. 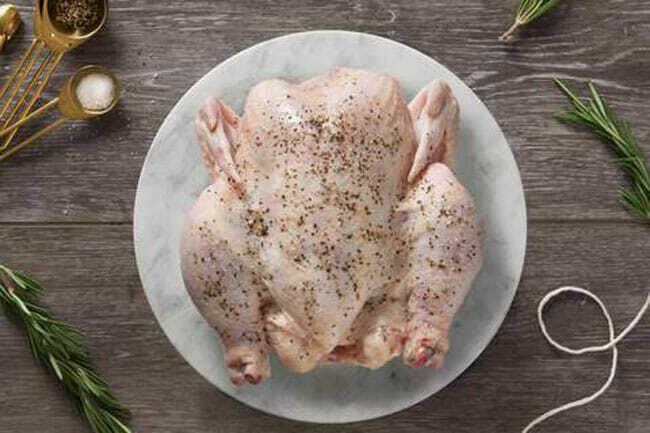 As far as organic items go, you can get whole turkey or chicken, turkey breasts or bacon or chicken wings. Antibiotic-free poultry comes in the form of duck and chicken breasts, chicken fajita, and ground chicken. The Pork & Lamb section normally features about 10 items. You can get pork chops, pork loin roasts, ground pork, baby back ribs, applewood smoked bacon, and breakfast sausage, as well as lamb chops and ground lamb. Bison items are not numerous. Usually, you can purchase grass-fed filet mignon, ribeye or ground bison or get them all in the convenient bison family pack (includes 12 ounces of filet steaks, 20 ounces of ribeye, and 2 pounds of ground bison meat). If you are interested in finfish, you can opt for wild sockeye salmon, Atlantic salmon, and wild-caught cod, halibut, and yellowfin tuna. Shellfish items mostly include wild-caught shrimp, scallops, and lobster tails. Individual items generally come in reasonably sized packs ranging from 2 steaks or filets to 1-2 pounds. On the other hand, Greensbury’s money-saving packs can include anywhere between 12 servings and 25 pounds of meat or bones. Everything you get from Greensbury is frozen and kept at a consistent temperature from the moment it enters the processing facility to the moment it reaches your home. That way, no nutrients or flavors are lost. It is also important to note that you can keep the products in your freezer for up to a year, so even if you order a lot of food, you never have to worry about it going bad before you get the chance to enjoy it. The time has come to find out whether Greensbury is a good fit for your budget. Here is a categorized overview of its pricing. Greensbury’s organic beef products generally cost between $16.49 (1 pound of beef fajita) and $74.99 (2 pounds of filet mignon roast). The prices of organic pork and lamb range from $9.99 (8 slices of applewood smoked bacon) to $36.99 (2.5 pounds of pork loin roast). On average, antibiotic-free pork and lamb products cost between $14.99 (32 ounces of breakfast sausage) and $79.99 (24 ounces of lamb chops). Similarly, the prices of organic poultry start at $9.99, which is how much you would pay for 8 slices of turkey bacon. Whole turkey is usually the priciest item in the organic poultry section. You can get a 14-pound bird for $99.99. Antibiotic-free poultry items are more affordable, ranging from $7.99 (12 ounces of chicken breasts) to $29.99 (12 ounces of duck breasts). If you are interested in grass-fed bison products, you can get 2 pounds of ground bison meat for $37.99, 12 ounces of bison filet mignon for $48.99, 20 ounces of bison ribeye for $52.99 or the bison family pack for $139.99. 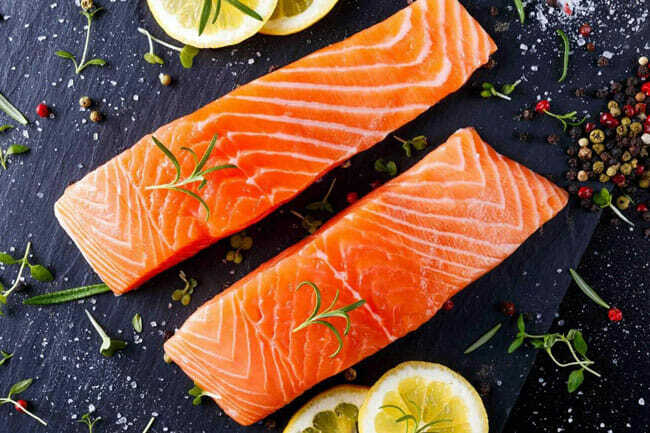 Finfish items rarely cost more than $20, unless you opt for products like pre-marinated Atlantic salmon with Caribbean mango, in which case you can expect to pay $60 or $70 for 48 ounces. Shellfish items usually cost between $25.99 (1 pound of wild-caught scallops) and $49.99 (16 ounces of wild-caught lobster tails). If you have enough room in your freezer, you can save cash with the company’s value packs that usually cost between $100 and $150. Finally, it is important to note that this price overview is provided for illustrative purposes. The selection and prices both vary and you may get a better deal with the company’s frequent discounts or subscriptions that allow you to get 5% off all orders. The shipping costs depend on the location. If you qualify for ground shipping, you pay a $9.95 shipping fee for orders worth $35 or more. Orders worth $34 or less come with a $19.95 shipping fee per delivery. If 3-day air shipping is the only option in your area, the shipping fees range from $19.95 to $49.95, depending on the value of your order (the more you order, the less you pay for shipping). Like we mentioned at the beginning of this Greensbury review, the company ships all over the contiguous US. At the moment, Alaska, Hawaii, and off-shore territories are not included in its delivery map. Orders are shipped Monday through Thursday and they are delivered Tuesday through Friday, depending on location. To ensure that the food arrives frozen and in perfect shape, the company does not send packages if they are expected to spend the weekend in transit. All packages are shipped in insulated coolers with plenty of dry ice and delivered by UPS. To make sure Greensbury meets all your standards and expectations, it is important to know its biggest advantages and disadvantages. With a short overview of its pros and cons, you can easily decide if Greensbury is the right company for you. At the end of this Greensbury review, we can simply say that this organic meat delivery has lived up to our expectations. The quality is even better than we hoped, which inevitably results in exquisite taste. There are not too many unconventional items, but we do not find that to be a huge flaw. Certain sections of the online store could use more products, though. For example, we would like to see more lamb, bison, and duck. Free shipping on all orders would also be nice. Still, we are not fans of nitpicking and our entire team wholeheartedly agrees that this is one of the finest meat deliveries we have stumbled upon lately, with the availability of certified organic products being one of its crucial advantages. Our ratings are the result of an objective and independent evaluation of Greensbury, generating the final rating that reflects the overall quality of the company. Ratings may change as the service changes. Greensbury customer rating based on 3 customer reviews. We found 1 verified Greensbury discount for April, 2019. Sign up and we’ll let you know about future Greensbury promo codes. If you like Greensbury but aren’t sure whether they are truly the ideal choice for you, you may want to take a look at our comparisons below to discover if one of their competitors is more suitable for you.